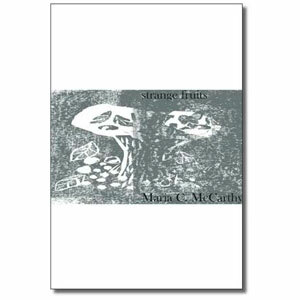 David Cooke’s review of strange fruits by Maria C. McCarthy appears on the poetry e-zine Message in a Bottle. David Cooke, like Maria C. McCarthy, is a second generation Irish poet. His latest collection Work Horses is available from Ward Wood Publishing. strange fruits is available from Cultured Llama with all profits going to Macmillan Cancer Support. Over £750 has been raised so far. You are currently reading David Cooke reviews ‘strange fruits’ by Maria C. McCarthy at Cultured Llama.